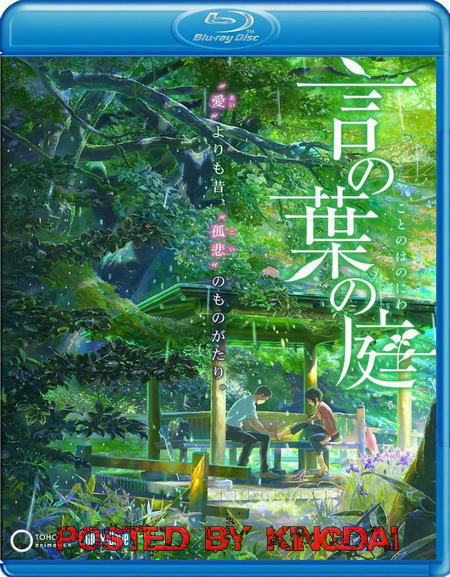 When Takao, a young high school student who dreams of becoming a shoe designer, decides to skip school one day in favor of sketching in a rainy garden, he has no idea how much his life will change when he encounters Yukino. Older, but perhaps not as much wiser, she seems adrift in the world. Despite the difference in their ages, they strike up an unusual relationship that unexpectedly continues and evolves, without planning, with random meetings that always occur in the same garden on each rainy day. But the rainy season is coming to a close, and there are so many things still left unsaid and undone between them. Will there be time left for Takao to put his feelings into actions and words? Between the raindrops, between the calms in the storm, what will blossom in THE GARDEN OF WORDS?